I have reviewed mostly loose leaf tea. Not because tea already in a bag is not equally good as loose tea. Quite frankly, there are some not so great loose teas in the world of teas. So my bias has been without any particular reason, other than the tea brands and flavors that I drink the most of, tend to be loose. Now for sure, there are some great teas in a bag and I thought that I would share one with you today. I love Tazo Tea! It's the tea that is served exclusively at Starbucks and I've sent many of my Twitter followers there to pick up a cup of tea based on their need for that day. 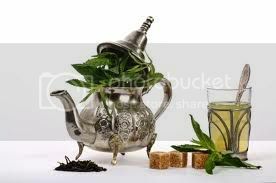 For colds, I suggest, Tazo Refresh; a hardy mint tea. 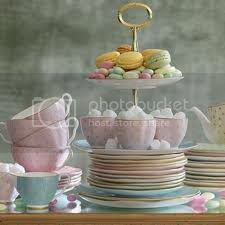 For that midday pick me up, I often suggest Earl Grey! it's a black tea infused with the aroma of bergamot and my favorite black tea. With Earl Grey, you get a black tea high in caffeine for that mid day boost, without the strong malty flavor of a breakfast tea. The bergamot oil infused in Earl Grey is simply divine. You can read my review on Earl Grey Tea Here. My recommendation for the morning is Awake Tea. It's a wonderful blend of black tea that gives you that hardy jump start in the morning. It's similar to English Breakfast type teas that I drink every morning. All of these teas mentioned above I drink and highly recommend. Let be not forget, Joy Tea! This holiday blend of black and green tea is only available doing the Holiday Season so I make sure that I stock up! Just so you know, this is not a sponsored review. 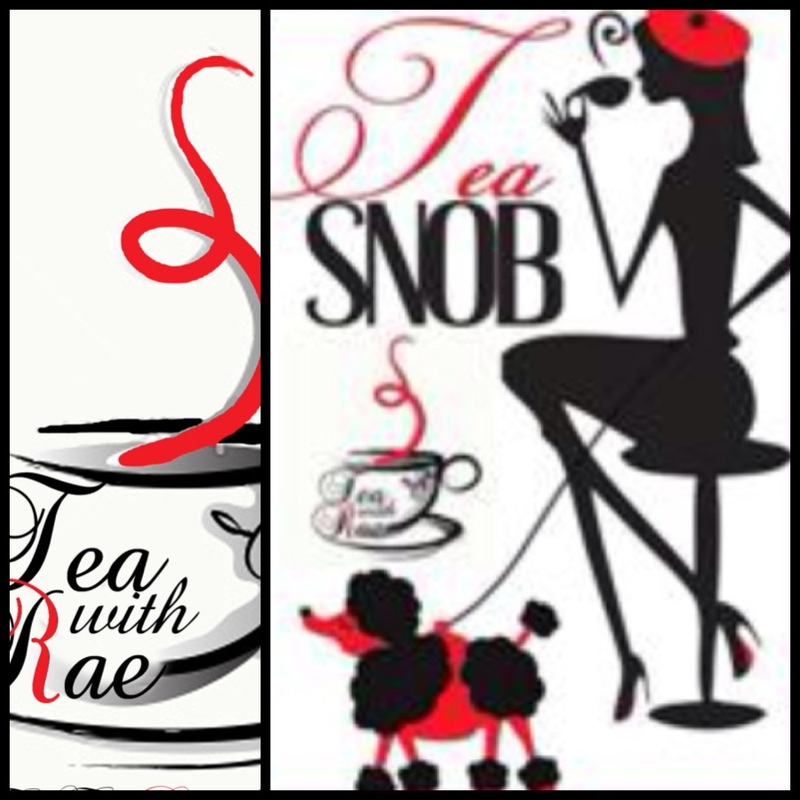 I just thought that I would share one of my favorite bag teas with you this month. For the most part, these are the only Tazo teas I have tried and maybe I'll reach out to Starbucks and see if they will join my Tea With Rae Team. While I drink mostly loose teas while at home sometimes because of my health, I don't have the energy for the formality involved in making loose tea and for sure Starbucks is my spot when I'm on the go. 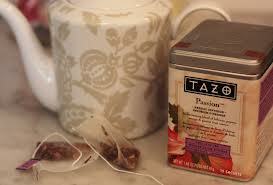 The bottom line Tazo has been my go to tea in a bag. A while back one of my Twitter followers sent me 4 tins of Tazo Tea and sadly they have been sitting. I began to feel guilty. I've been trying to mix it up lately and step outside of my regular tea list, so I tried for the first time one of the teas, Tazo Passion! Boy was it a tropical fruit blast in a cup! This herbal infused tea of hibiscus, papaya, mango, sweet cinnamon and passion fruit essence remained me of my trips to Jamaica and made me feel like I was on a warm tropical Island and not Chicago in December. 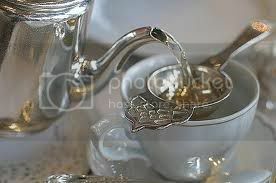 The truth of the matter, drinking a cup of warm tea is an experience. If you just sit back and enjoy the moment, the flavor will take you to another place. I enjoyed this tea because the blend is rich. 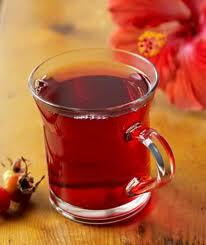 The tart hibiscus flower makes the taste sophisticated and not fruity tutty. Hibiscus is a favorite drink, both warm and cold on many Islands. The hibiscus flower is rich in vitamin C and minerals, which is always a plus. Tazo has taken this tart flower and made a perfect blend. 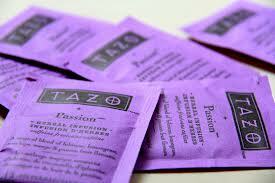 For sure I recommend Tazo Passion Tea. I didn't know what I was missing out on, stuck drinking only my favorite Tazo Teas. 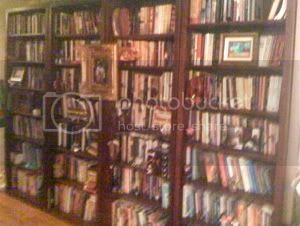 Now I have to try the others sitting in my Tea Cabinet. 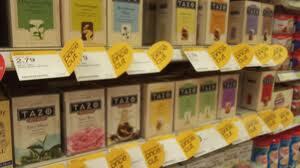 I like Tazo because you can buy it in most grocery stores. 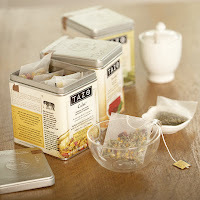 In the bag, Tazo has filter bags, which is how we traditionally know bag teas. 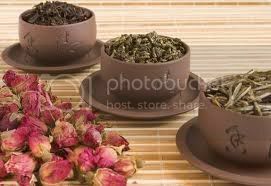 They also have the silken bag of full leaf tea, which is just like drinking loose left tea. The whole leaf tea is also sold in Starbucks in tins. 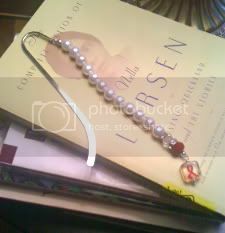 I discovered something while working on this blog. Tazo also has loose tea! SHUT UP! For Real!!! Click Here to see all that Tazo has to offer! Post Script: Don't forget to enter the weekly raffle! 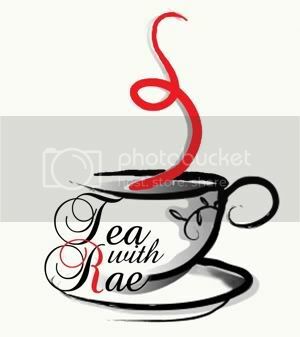 I'm giving away a loose leaf tea ball from RLT Collection in honor of National Hot Tea Month. 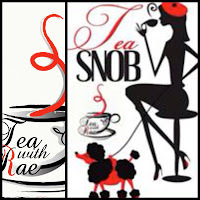 All you have to do is make a comment on one of my tea blogs about your favorite tea or why you like hot tea.